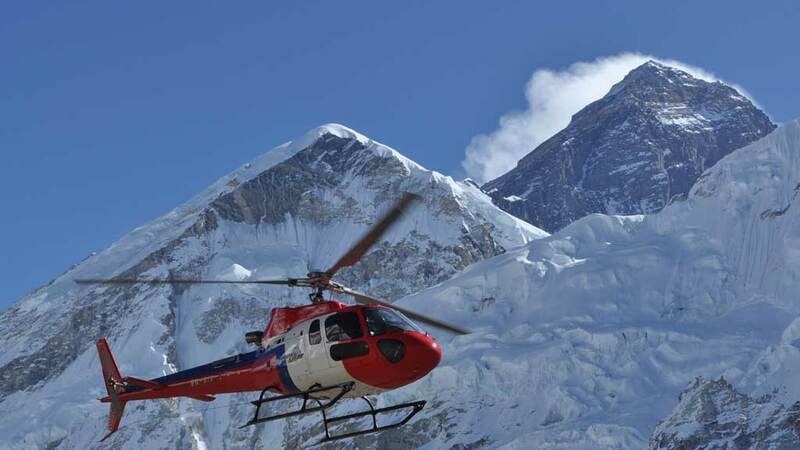 Everest Base camp Helicopter Tour is one of the best available options for those visitor who wanting to see world highest peak (Mt Everest) and they are not physically fitness and timely unable to go trekking. 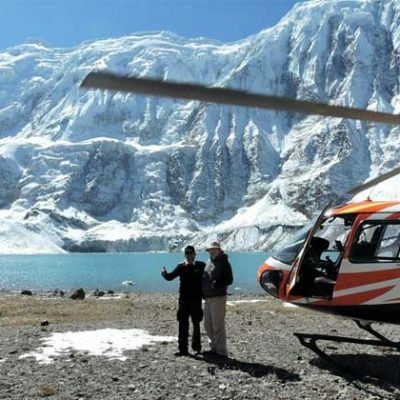 Everest Base camp Helicopter flight landing Tour offers mind-blowing grand vista of world highest mountains from world highest Mt. Everest- 4th highest Mt. Lhotse, 5th highest Makalu to 6th highest Cho-Oyu in the comfort of Helicopter with spacious relaxing seats. 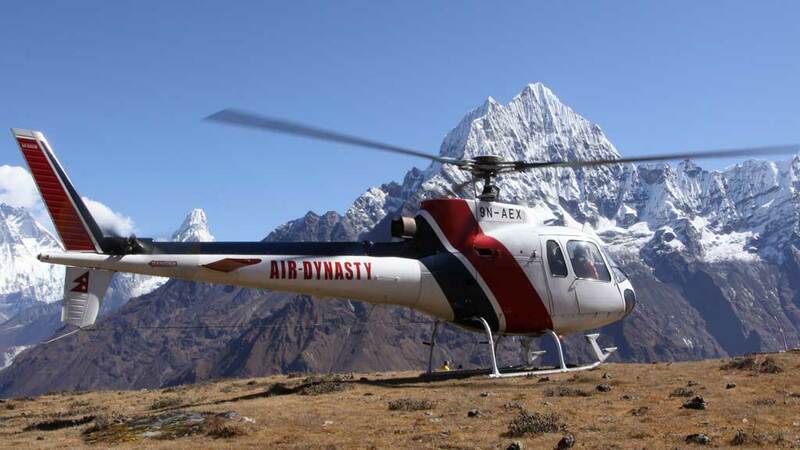 Helicopter ride to Everest Base camp is once in a life time experience flying high above rivers and valleys and over green rolling hills dotted with many farm villages and terraces. The sceneries of stunning mountains never cease on this Helicopter or chopper flights from the start to the end with glamorous views that surrounds you on this Mt. Everest Helicopter Tour. The Everest Helicopter tour Starting early, as morning the best time with clear sky for the views of mountains in a moderate size Helicopter of comfortable 3-4 seats perfect for this scenic tour on air, from the take off begins our tour with panorama of peaks overlooking from Manaslu-Ganesh-Langtang-Jugal Himal towards Cho-Oyu and Mt. Everest includes views of Mt. Makalu. After an hour ride landing at Lukla for refreshment and continue flight towards Everest base camp at 5,357 m / 15,500 ft high. Our Flight Landing 10 minutes in Kalapther ( 5545m) . The vest Himalayas View point, Enjoy the marvel the close views of tumbling Khumbu Ice Falls and glacier and heading back with short stop at Thyangboche Monastery a wonderful spot surrounded with high peaks and lovely forest. 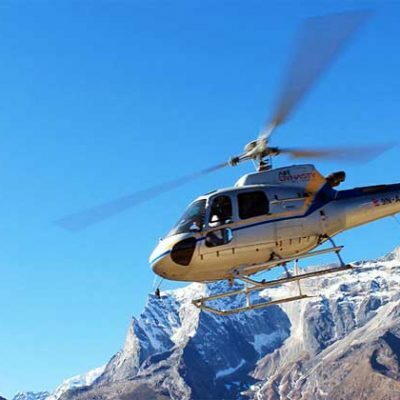 Our Helicopter tour continues above famous Namche Bazaar and Lukla town and then landing back at Kathmandu airport for the drive back to your hotel, after an amazing and marvelous time around Everest Base Camp on Helicopter Tour. 5 am: In the Morning: Drive to Domestic Airport . 6:20 am: Fly toward to Everest Himalaya rang. 07:45 am: fly to Mt Everest base camp and Kalapather. landed at Kalapather for 10 minutes. Explore the Mt Everest and other high Himalayas, turn back and land to Khumjung Everest View Hotel. have a breakfast. and Continue fly back to Kathmandu. we offer private tours and Group Join tours. We Advice to take private Helicopter tour if you have friends or family 2, 3 people group. and for the solo travelers is best way to join the group. we have fixed departure date. Take off Helicopter and landing to Lukla. (7: am) Stop for a while and Pilot store the fuel Morning 07:45 fly to Mt Everest base camp and Kalapather. landed at Kalapather for 10 minutes. Explore the Mt everest and other high Himalayas, turn back and land to Khumjung Everest View Hotel. have a breakfast. and Continue fly back to Kathmandu. 3 Hour Helicopter tour from Kathmandu to Kathmandu. Hotel to Airport and Hotel Transportation.